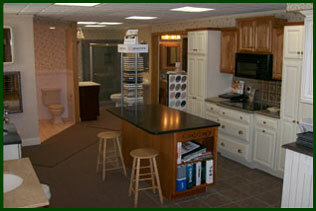 Heritage Kitchen & Bath Center, Inc. was founded in 1983 by company president George R. Jay. 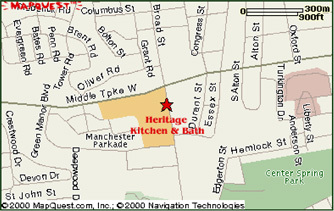 Heritage Kitchen & Bath Center operates from their beautiful 3,500 square foot showroom located at 254 Broad Street in Manchester with 14 employees. 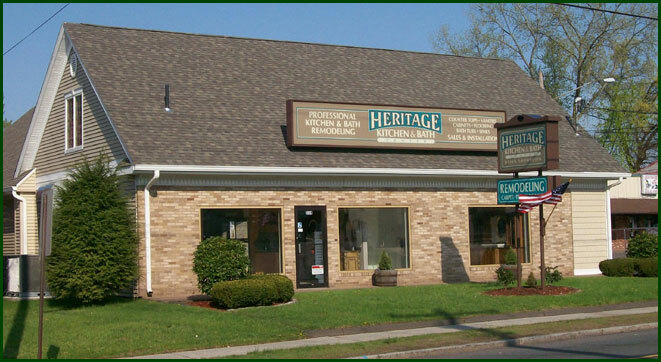 Heritage offers a Sales/Design Department, Complete Installation, Full Flooring Department as well as an Interior Decorator to help you coordinate the perfect new kitchen or bathroom. 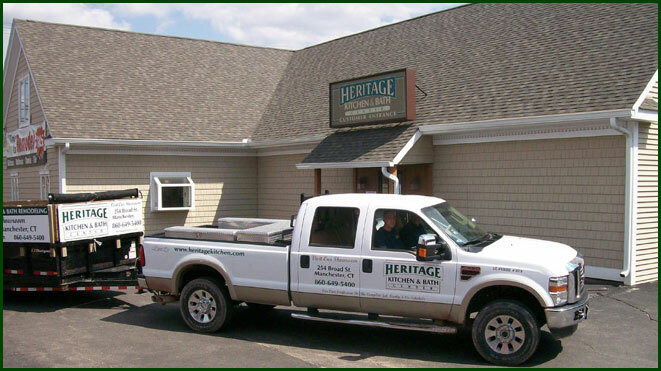 Heritage will do the complete job neatly and on schedule. From the largest renovation to the smallest repair call Heritage Kitchen & Bath at (860) 649-5400 for prompt service and a free estimate. See our Price Ranges page. 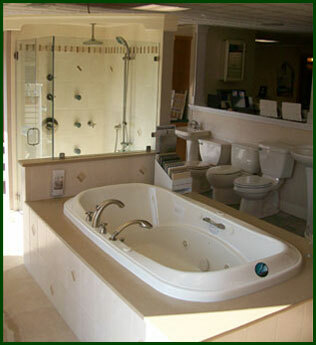 Most important of all, when we complete the job, you too, will be a satisfied Heritage customer. 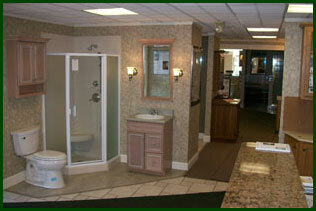 We pride ourselves on our extensive repeat and referral customer base. Our policy is simple: We take care of every customer, every time. That is why we have dozens of testimonial letters on display from our satisfied customers and have grown to be one of Connecticut's largest Kitchen & Bath remodeling companies. 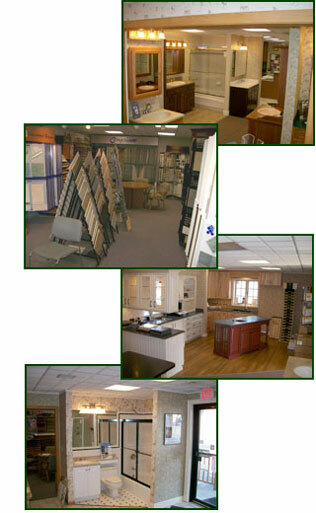 See	our	Why	Choose Us page. 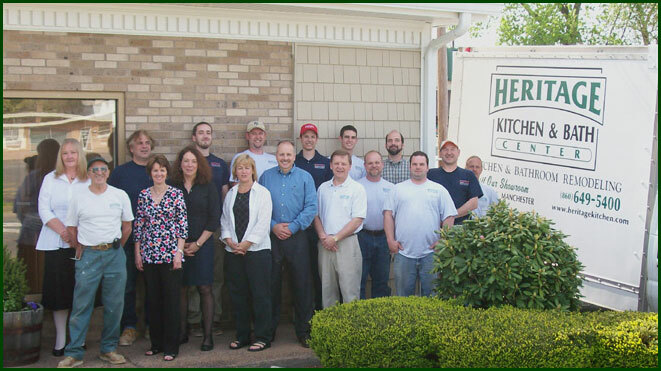 Our employees are a valued part of our business. They make it possible for us to guarantee your satisfaction. For more info about the Heritage team, see our Meet the Team page. From I-84 West take exit 60. Take a left onto Center Street. Go approximately two miles and take a left on Broad Street. From I-84 East take exit 60. Take a right onto Center Street.